CGC Landran Admission 2020 will start in the month of December 2019. 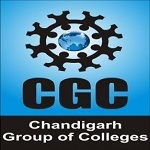 CGC Landran is a private university which was established in the year 2001. The University provides admission in various UG and PG courses in the Engineering, Management, Pharmacy, Education, Computer Applications, Bio-Technology and Hotel Management fields. Candidates are provided admission based on scores of national level exams or 12th level. No entrance test is organized by the University to provide admission in the offered courses. Through this article candidates can know various details of CGC Landran Admission 2020 application form, dates, eligibility, admission procedure, etc. Various UG courses offered by the University are – B. Tech, BCA, BBA, B. Com (Hons. ), B. Pharma, BHMCT, BTTM, B. Sc, B. Ed etc. Various PG courses offered by the University are – M. Tech, MCA, MBA, M. Com, M. Pharma, M. Sc etc. The University will release application form in the fourth week of December 2019 and will end registration in the last week of June 2020. Candidates must apply within the stipulated time period prescribed by the university. Candidates have to register themselves by providing their name, mobile number, email id, course etc. Candidates have to pay their application fee and upload images of their required scanned documents. Candidates must check whether their documents are uploaded in correct format before the final submission. Candidates have to pay Rs.1000 as application fee. Mode of Payment: Candidates can pay application fee online via debit/credit card or via net banking. Subjects: Candidates must have Physics, Chemistry, Mathematics subjects in 12th standard or equivalent. Scorecard: Candidates must have valid score card of JEE Main. Marks Required: Candidates must have secured minimum aggregate of 45% marks in 12th standard (for SC/ST candidates 40% marks). Scorecard: Candidates must have valid score card of CET. Educational Qualification: Candidates must possess Bachelor’s degree in Pharmacy or equivalent from a recognized university. Educational Qualification: Candidates must have Bachelor’s degree in any stream from a recognized university. Admission into CGC Landran will be done on the basis of 12th level scores or national level test scores. Students who will be eligible as per their scores will be shortlisted for the further admission rounds. Candidates belonging to Punjab will get admission into B.Tech on the basis of JEE Main Scores. However, other state candidates can apply for admission on the basis of their 12th level scores. Merit list will be released short listing the eligible candidates. Eligible candidates will have to appear for further counselling session. Also, students have to carry their passport size photographs and submit for verification to the authority. The University will verify the documents of the candidates and confirm admission in case they will satisfy the eligibility criteria. Candidates have to submit their course fee and confirm their seats. If any candidate will not submit course fee within stipulated time period, there seat will be allocated to the next candidate. CGC Landran 2020 Merit List will be published by online mode. Merit list will be prepared based on the marks secured by candidates in national level entrance exam or 12th level. Candidates can check their rank online by entering their registration number and password. Candidates can contact the officials in case they find any trouble regarding the rank published in the merit list. Based on their rank secured in the merit list, students will be served for counselling procedure. Candidates can also apply for direct admission for seats available in the university based on their rank. CGC Landran 2020 Counselling will be organized after the release of merit list. Candidates will be able to participate in the counselling process conducted by PTU, Jalandhar. Candidates have to carry their original documents with a set of photocopies of all documents for counselling process. If you have any query regarding CGC Landran Admission 2020, you can ask us by leaving your comment below.